Navigation controllers are the workhorse of organizing view controllers. I’ve covered much of their use in other posts about MVC, segues and delegates. 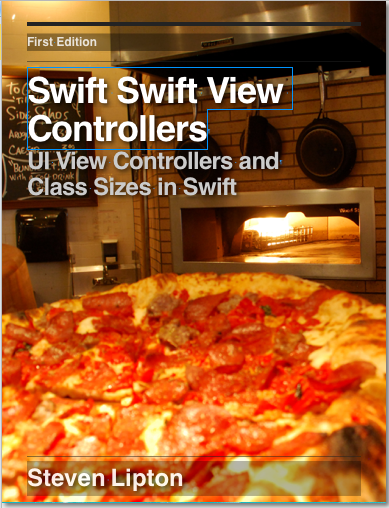 In this chapter, We’ll go through some of the Swift code for the Navigation controller. Navigation view controllers are stack based. The newest view controller is the visible one. It is on top of the last one we saw. If you are not familiar with the stack data structure, it is useful to understand stacks and their nomenclature a little better. Stacks work a lot like a deck of cards that are face up. You can only see the top card. When you place a card on top of the stack, you push a card on the stack. When you remove a card from the stack and show the card below it, you pop it off the stack. We use the terms push and pop a lot to talk about stacks, and you will find they describes methods often. I’ve shown elsewhere how to move to navigation controllers through segues. Let’s look at a few ways to do so programmatically by pushing and popping to the navigation stack directly. 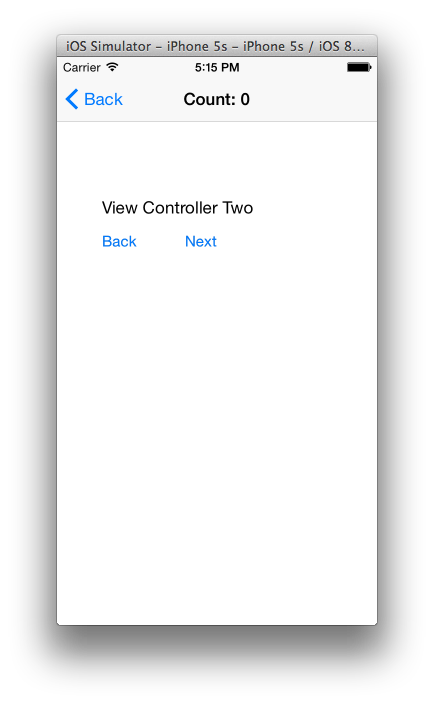 Start a new single view project in Swift called SwiftProgNavControllerDemo . Go into the storyboard and select the blank view controller. Be sure to select the controller and not the view. From the drop down menu select Edit>Embed in > Navigation Controller. // typically from a nib. We need another view controller as a destination. Press Command-n or click File>New>File… Choose a iOS source template of Cocoa Touch Class. Make the new file a subclass of UIViewController and name the file TwoViewController. To prove we are doing nothing with the storyboard, Click the option Also create XIB file to yes. You will find a new XIB in interface builder. Set it up to look like the illustration below. // after loading the view. 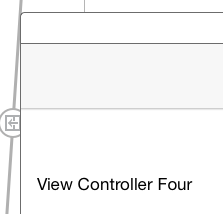 Let’s do this one more time so we end up with three view controllers to push onto the view controller stack. Follow the same procedure as you did for TwoViewController, but name it ThreeViewController, Instead of a Next button make a button Root like the diagram shows. The first line creates the view controller, which of course we can name whatever we want. I tend to keep it simple and use vc, though if I had more than one, I’d be more descriptive. We used xibs here, which work a lot better than trying to connect to views on a storyboard. There’s a bunch of weak variables you have to dance over in that case, so often it just doesn’t work. I rarely push view controllers. there are situations where you cannot use the storyboard and this is the alternative. I prefer the storyboard for two reasons: first it is better documentation of my user interface. Secondly, I prefer to let the system do as much of the background work as possible. 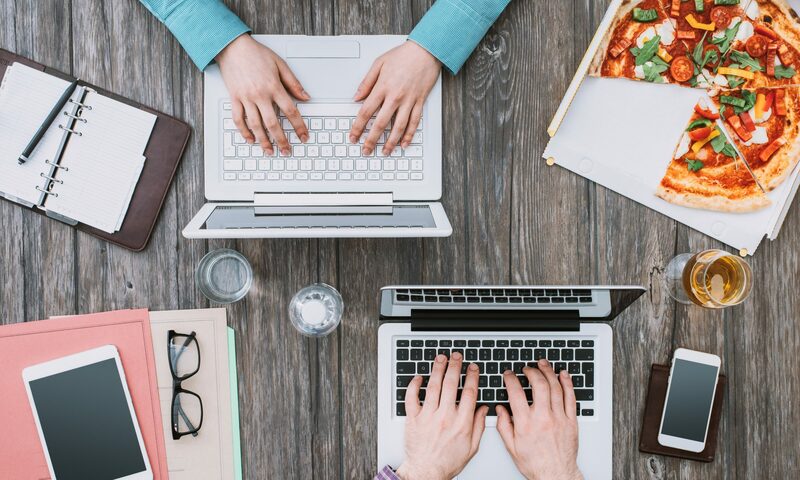 The deeper into code you go, the more you have to worry about unexpected bugs. Swift and ARC Together often set nil when you don’t expect or want it. Crashing is a good way to catch those in early development, so you don’t have bigger more subtle bugs later. In other discussions of Segues, we talked about direct segues, connecting up a button directly to a view. You can do segues programmatically, which is useful when you conditionally go to a view. 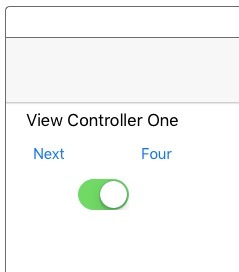 Now add another subclass of UIViewController called FourViewController. This time you do not need a XIB. Go into the storyboard and drag a view controller onto the storyboard. Click on its view controller icon. In the identity inspector make the custom class FourViewController. Add a label to the view just so you know it is there. Click on the ViewController scene title in the storyboard. From the view controller Icon on ViewController, control-drag from ViewController to somewhere on FourViewController’s content, and release the mouse button. In the popup, select Show. Go into the properties inspector and set the segue’s identifier to four. Open the assistant editor and drag from the circle next to the fourButton() method over the Four button and release. The code above is a mere one line: it runs the segue. If you set the segue identifier correctly, that is all you need to do. Where this is useful is conditional cases. We may want to go to different view controllers based on conditions in the current view controller or model. Let’s try an example: Drag another view controller out to the storyboard. Set it up just like FourViewController except call it FiveViewController . Hook up an outlet by control dragging from the switch to the ViewController class in the assistant editor. @IBOutlet weak var fourFiveSwitch: UISwitch! Build and run. Tap the four button and then hit the back button in the navigation bar. Now change the switch setting and tap the Four again. Up to now, we’ve relied on the navigation controller’s back button. While I may not use pushViewController() a lot, I do use popViewController() often. Almost every delegate between view controllers in a navigation stack will use it. There are several versions of the controller and I wanted to explore them with you. Also in ThreeViewController, Let’s add to the rootButton() method the following. Build and Run. you will find the Next and Root button now take you around the application. There are three versions of pop: popViewController(), popToRootController(), and popToViewController() The most Common is popViewController() which removes the top view controller from the stack. popToRootViewController() and popToViewController() pops everything or everything up to a specific View Controller off the stack, returning what it popped off. So far we have not moved values between view controllers. If using a storyboard and segues with a performSegueWithIdentifier(), It is the same way we have already talked about for segues and storyboard. If we don’t use segues, it is rather simple, Be careful how you use it, since it is easy to break MVC. On line 2, we added a integer property vcCount. In viewDidLoad(), we printed the property to the console. Line 1 adopts the delegate, and lines 3-6 is the required method didFinishTwoVC. In that method we take the current value in the vcCount property in TwoViewController and increment it, then pop the controller off the stack. 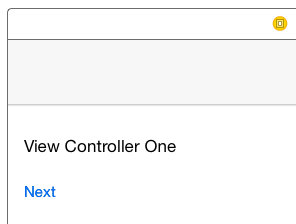 In line 10, we added the assignment of the TwoViewController‘s delegate to our current view controller. All you need to do to change the navigation bar title is assign a string to navigationItem.title. The navigationItem is a property of type UINavigationItem, and has a property to quickly change the title of the bar. There is a lot you can change in the UINavigationItem , but that is a topic for another post. We cannot use viewDidload() in this case since the root view controller will load only once. We could have used viewWillAppear() instead, but we can also use the property observer feature of Swift. Using didSet, any time vcCount changes, the title changes with it. Build and run. Go back and forth from view one to view two. //  Created by Steven Lipton on 9/10/14. //  Copyright (c) 2014 MakeAppPie.Com. All rights reserved. //  Created by Steven Lipton on 9/11/14. I’ll investigate this today. Just as a first step, you do have this method in the ViewController class and thus implemented the protocol, correct? I just updated to Xcode 6.1 seed 2. I am not seeing any problems. The error message you report “Type “ViewController” does not conform to protocol “TwoVCDelegate” is Xcode’s classic complaint there is no implementation of required methods in this class that adopted the protocol. Make sure you have this in your code in ViewController, and check for spelling errors or changes of type in the first line. these two have to match. If they do not you will get that error. Thank you so much for the tutorial and for helping me to solidify my (beginner) understanding of IOS. I have gone through the tutorial to the point where I have set up the first three view controllers with the navigation controller. For some reason — when I click the next button in the second controller, my navigation controller directly moves to third view controller(but doesn’t stay on that view) then immediately moves back to the second view. Any ideas why this could be occurring? 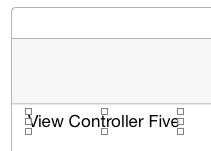 Make sure the popviewcontroller in the third controller is in the method for backButton and not in view did load. Also check if there is a push of a second view controller somewhere in the third view controller. A way to test this is to hit the back button when you get your strange behavior. Where does it go? if you get back to the first view controller, you got an extra pop you shouldn’t have or is in the wrong place. If you go back to the third or second view controller. You got a push you shouldnt have or a push in the wrong place. This is never explicitly added to the ViewTwoController class until “the whole code” section. If added during the tutorial would clarify things for future tutorial users. Just wanted to give you a heads up to help future tutorial users. Thanks my man for this tutorial! Thanks for the catches. I’ll look at it and see what edits I need. Thanks for catching that!!! I made those revisions. Check if you set the delegate. i check my delegate and it is set. please explain me in details if possible. In the nextButton method in the ViewController class, did you you set vc.delegate=self? Great article – just what I was looking for. Quick question though, we created FourViewController and FiveViewController in storyboard and never made a swift file. I saw the swift file for Four and Five in “The Whole Code” so I made a Cocoa Touch Class for FourViewController and FiveViewController and added in the code…but my nav title doesn’t change on FourViewController or FiveViewController (I copied the code for these two pages). My storyboard VC’s have the correct name and the Cocoa touch class were a subclass of UIViewController. Any ideas? The way the storyboard is set up, you don’t need FourViewController or FiveViewController. That was a little extra code for a sneak peek at another lesson ( you can find that lesson here BTW: ) Both run on segues and since they don’t do anything, don’t need UIViewController subclasses assigned — at least for a demo like this. You can set in the Identity Inspector both to UIVIewController instead of FourViewController or FiveViewController respectively. They should work showing different labels with four and five. If they don’t it’s probably something to do with fourFiveSwitch. You can also check that link above for more information on the navigation bar. Did you try scrolling? the code examples that are truncated are in a horizontally scrolling window. Since I have no error messages to go on and you are using a view controller class Inicio I didn’t write, all I can suggest is check that your Xib is identified correctly to the controller and that everything is in the main bundle. There are so many errors … the “whole code” section is missing tons of items. On the individual steps, you refer to view controllers but neglect to mention which exact VC you’re referring to. On VC 4, you have directions that indicate dragging from the View controller icon at the top of VC 4, to the body of VC 4. This article of your’s clearly took a lot of time and effort and you undoubtedly know what you’re talking about.. just seems like some oversight. Thank you. I’ll get onto correcting this. I think a few more illustrations might help too. 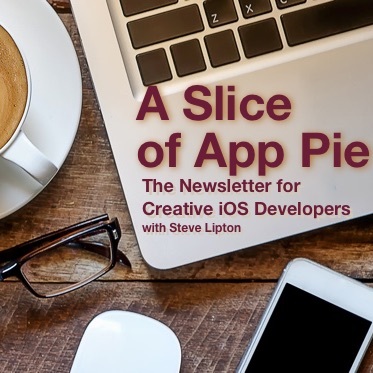 THis will be the first post re-worked after the WWDC16 keynote. I’m planning to do a major round of updates as soon as I have some idea of what is getting updated. It seems silly to do a lot right now but I’ll see what I can do.